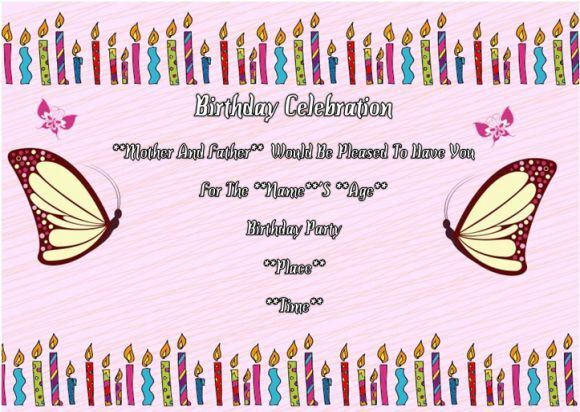 Hmm, I understand your excitement in celebrating your kids birthday. And you know what? 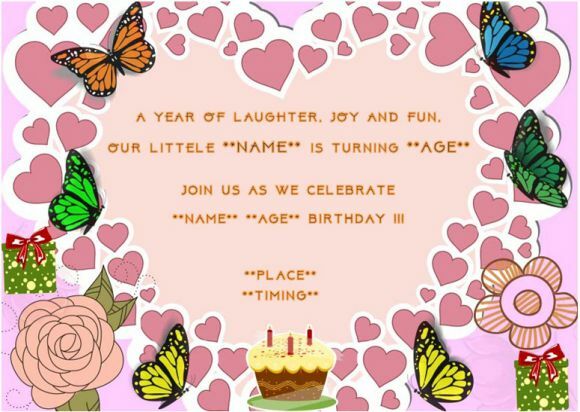 Celebrating a birthday with a theme adds, even more, a joy to your little one. 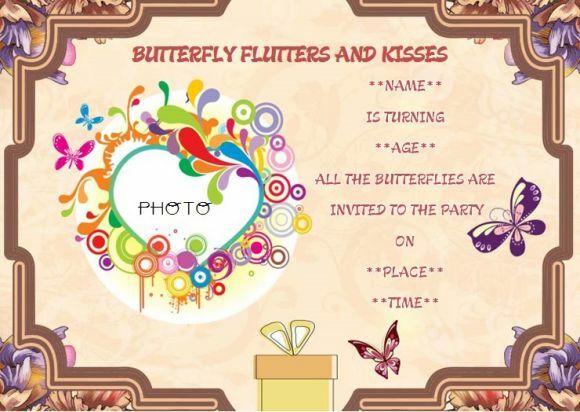 Yes, let me walk you through the Butterfly Birthday Party. 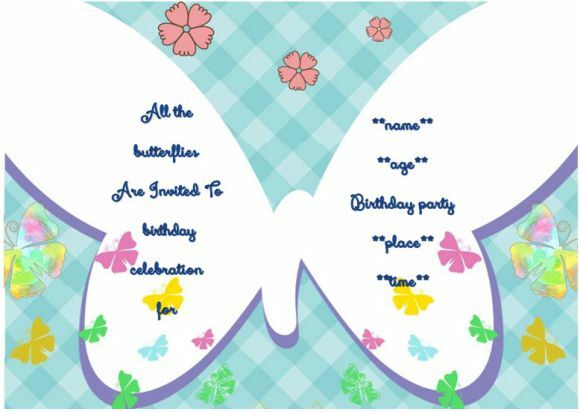 Download Free Printable Butterfly Birthday Invitation Templates and customize per your requirement. 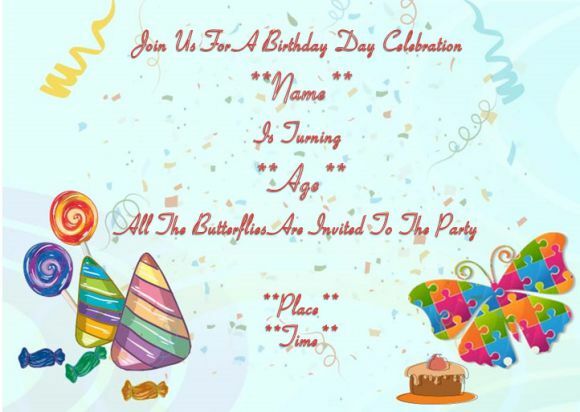 Also, follow this post to know in detail to celebrate a birthday party with a butterfly as your theme. Any party starts with inviting people. Yeah! YOU GUESSED IT RIGHT. No fun without a crowd. 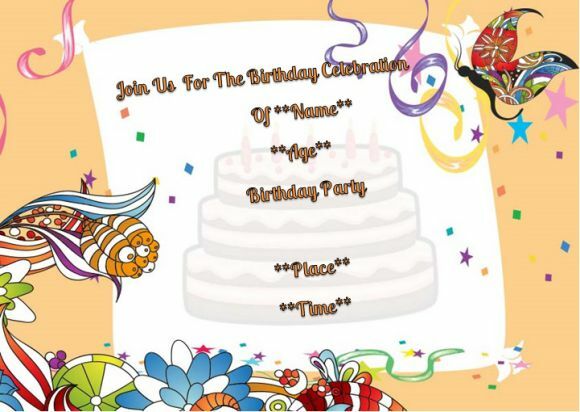 Especially a birthday party for your little one must have kids of the same age group to have a bash. What do you need to do? 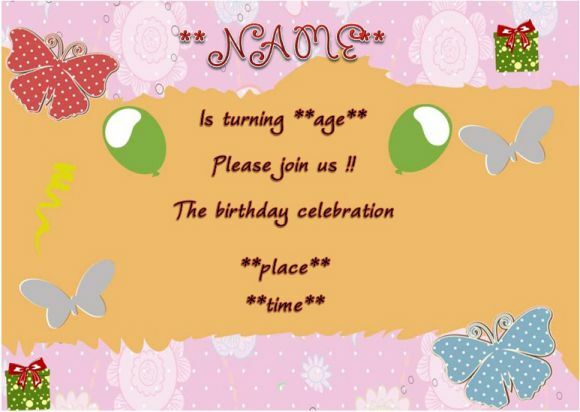 Make the best birthday invitation. I know you’re running short of time. 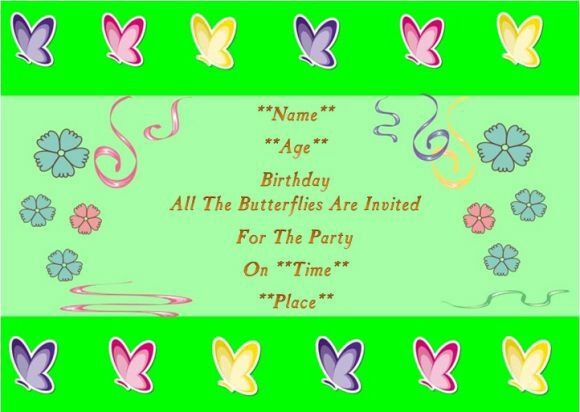 No worries, just click any butterfly birthday invitation template you like and download for your perusal. 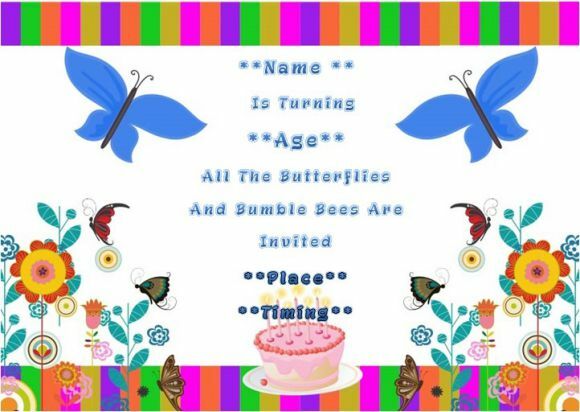 Our butterfly birthday invitation collections in our galleries have a variety of collections. So FEEL FREE to make use of it. Now, getting back to the topic. 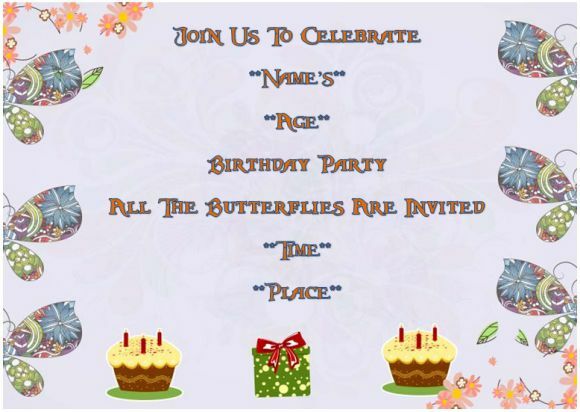 Yes, the theme – Butterfly Birthday Party. Be Alert And Bo Not Allow This Party Flutter Past. 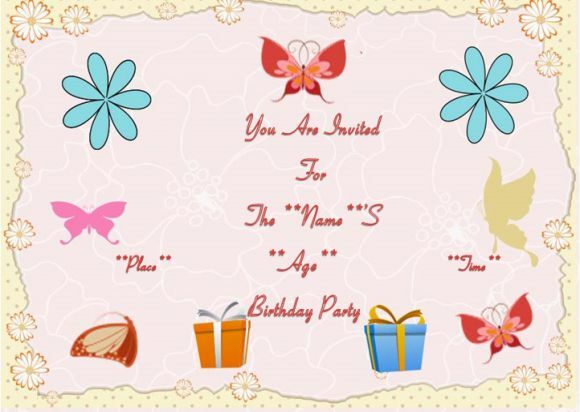 Mark Your Calendar On (DATE) For Joining Us In Celebrating Our Little Angel (NAME) 4th Birthday. 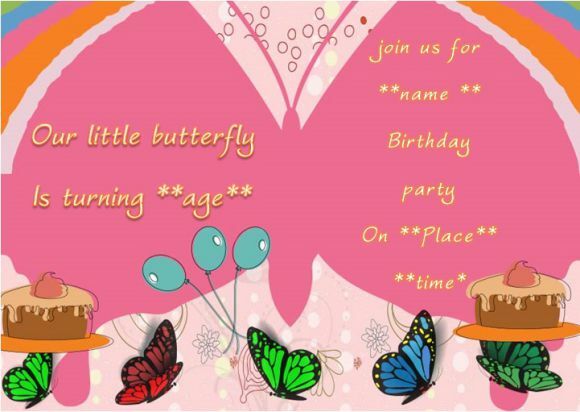 During The Day Time At (TIME) To Have Butterflies Sing Her Birthday Song. Join Us For Having Fun. 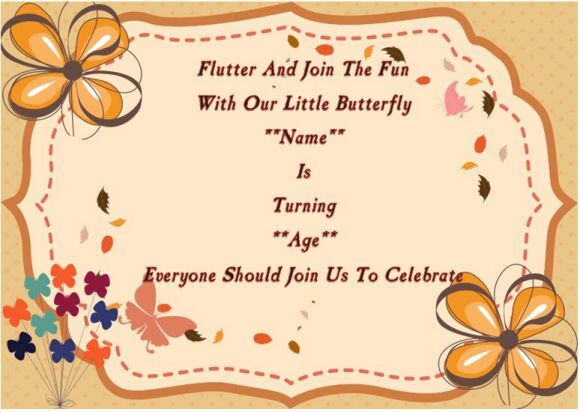 As Bright And Colorful As A Butterfly, We Wish To Make Our Little One’s Birthday Filled With Color. 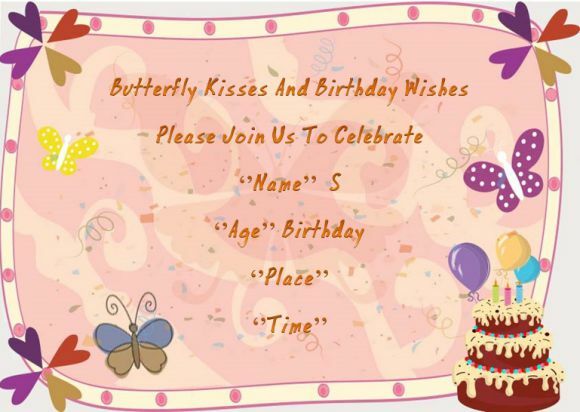 Give Your Hands In Greeting Our Baby (NAME) A Happy 1st Anniversary On (DATE) At (TIME). 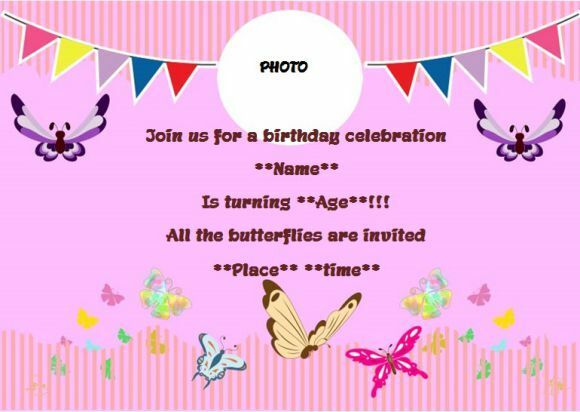 Yes, It’s Butterfly Birthday Fun In The Bright Sun! 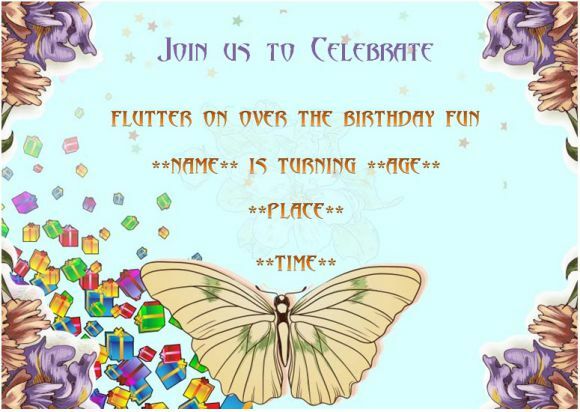 Dress Your Kids In The Prettiest Wings And Flutter On Over To Grace (NAME) On Her 7th Birthday On (DATE) At (TIME). Taste The Nectar Of Honey Along With Butterflies. 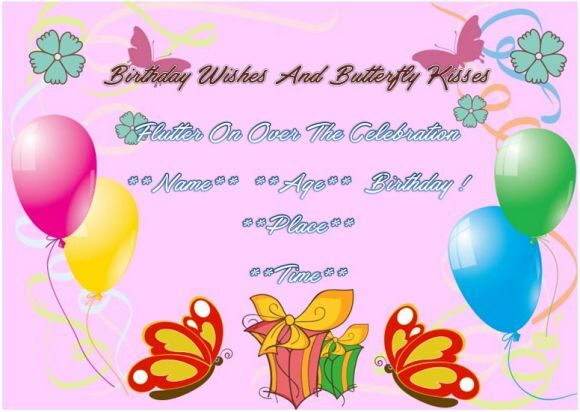 Flutter On Your Way; It’s My Princess (NAME) Birthday! Bring Along Your Boy Baby As A Caterpillar, Snail, Or Dragonfly To Greet My Butterfly. 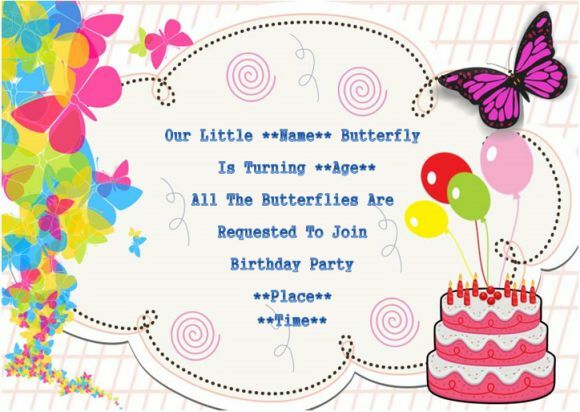 Yes, you have invited the entire little caterpillar crowd to become a butterfly in just two hours of the birthday celebration. Now you must get your foot down to welcome the guest. You got it exactly right. Start your decorations. If the little ones can handle at work, then ask them to make some origami butterflies. You can teach them in no time. You have become an expert from the video I guess. Right, along with games give them antennae headbands, paint their nail with glow in the dark nail polish. Provide them with a final touch up with nail polish. Involve them in all the games and make them tired to bring out the butterflies from every caterpillar. Make them play some sweet flower sets. You can cut some large flowers from construction paper and lay them on the floor. Have them flutter in the room and stop the music so that they can hop on the flower. The little one that missed will come out of the game with a “flower pop” and resume the music with the rest of the kids. 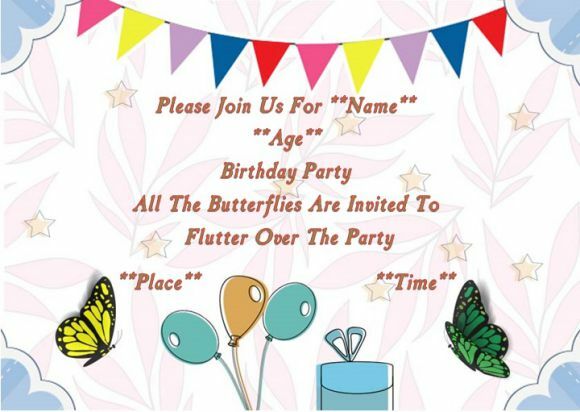 One more game idea you could follow, make the kids stick the butterflies on the flower. This time make a huge flower using a large piece of card stock. Use construction paper and make small butterfly cutouts. Ask the kids to stick as many butterflies possible on the flower. Announce the winner who sticks the highest number of butterflies. 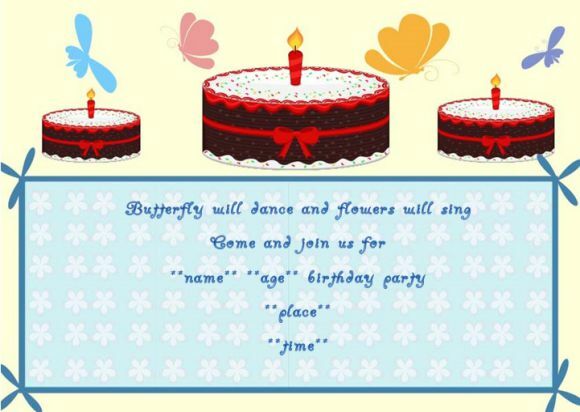 Then have your kid cut the cake, sing the birthday song and have a blast. Certainly, you must go for a pink butterfly birthday cake. The hungry little butterflies will want for their food. 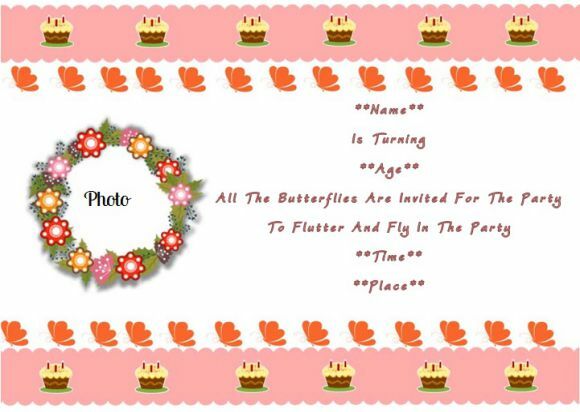 Let us explore some ideas in the food department keeping in mind that butterfly is our theme. Make or order for some butterfly shaped mini pizzas before the party and freeze them. You could quickly pop using an oven. Try some triple chocolate pretzel stick butterflies. You can opt for mini butterfly sugar cookies. Also, serve a small plate of fruits or vegetable salads. Healthy options, but kids may not enjoy, I have an idea for that. Yes, serve with the black current or orange squash, and every child does not want to miss licking the squash. Great going? No, the fun continues looking at all the little one eating cheerfully. Finally, give them RETURN GIFTS when they get ready to go home. Little butterfly box with their initials monogrammed on its top will make the show mind blowing. 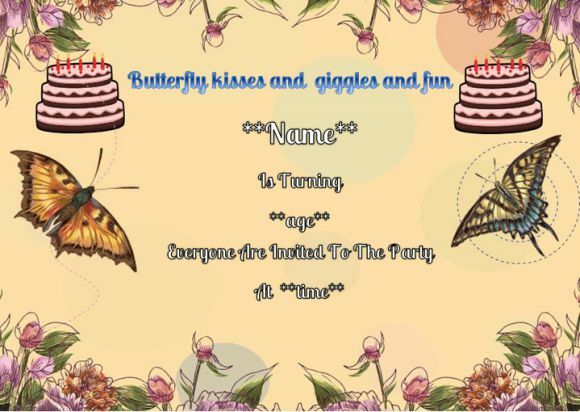 Also, you can give some butterfly colored napkins. Butterfly shaped small handbags with a cute candy necklace. Follow me, and there you’re done. Just collect some tissue papers or even papers will do. Make as many butterflies as much you can. HEY COMMON DON’T PANIC. Click here to make origami butterflies in less than 2 minutes. You know why I always prefer origami? They don’t make the place a mess. I don’t need to cut or paste anything. Only fold papers and make fluttering butterflies. Use all possible colors available on earth to give your best to your kid. 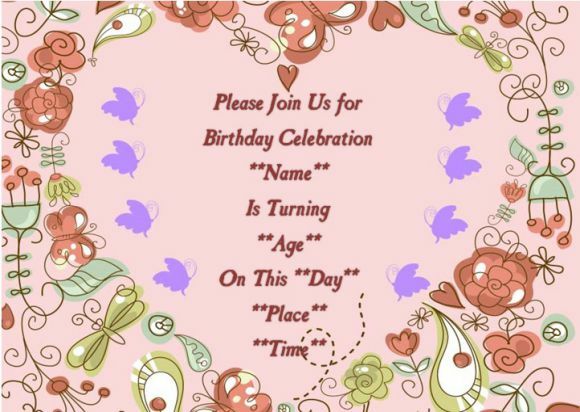 Paste them on the walls, or simply hang them on the ceiling of your actual party area. IT DOES NOT STOP THERE, stick all over the doors and windows. Stick them on the party table and the chairs. 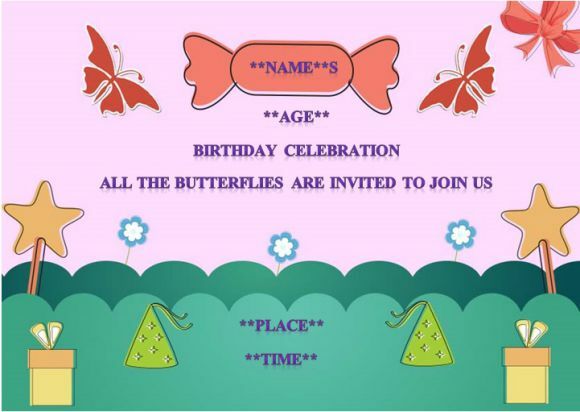 The moment kids enter, and they go mesmerized with the colorful butterflies all around. TRUST ME; it will look real. The usual stuff I will tell you here. What? The balloons. Kids love to have balloons hanged across everywhere. Why should they miss the fun? But now I will tell you a secret. The usual balloon with an unusual turning point. Take an extra effort to paste small origami butterflies on the balloons. When you blow them, WOW it will look awesome. I know your heart is beating fast to IMAGINE this moment. It will beat for sure. Use a clean white table cloth with a dark square in the center. Place some paper plates and cups with some beautiful white napkins engrossed with pink butterflies all over them. Use some bright pink flexible straws. Decorate the center of the table with cupcakes tray filled with cupcakes. Never forget to sprinkle decoration on cakes. I suggest you to personally make cookies with butterfly cookie cutter and keep them on the table. NOW YOU CAN’T RESIST EATING. Assume that the kids are in. Soon after they come into a birthday party, they look for two things. 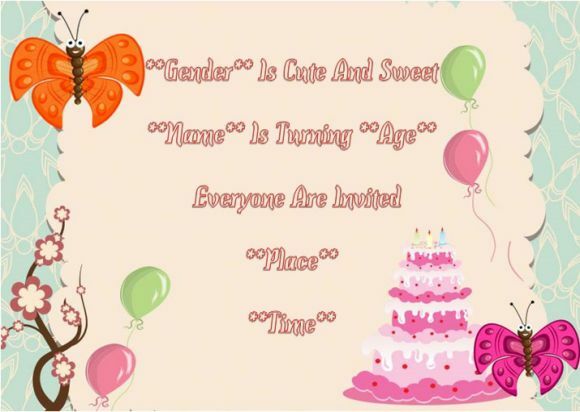 “Birthday Baby”? WELL, YOU’RE PARTIALLY CORRECT. They look at snacks and games. I am sorry I changed the order. They look at GAMES and then SNACKS. Get things ready to engage them in Games. You can give those paints and paper to draw or color butterflies. Just make sure of their age and give them work.